This week, Grade 2 will be reading about Benjamin Franklin. Benjamin (Ben) Franklin is a very important figure in American History. He is considered one of the Founders of America for his role in gaining independence from Great Britain and helping to write the Constitution. He was much more than that though. He was a man of science, an inventor, a writer, a publisher, and a philanthropist. He, in fact, invented or improved some things we see everyday, like public hospitals, flippers (for swimming), and vitamins. 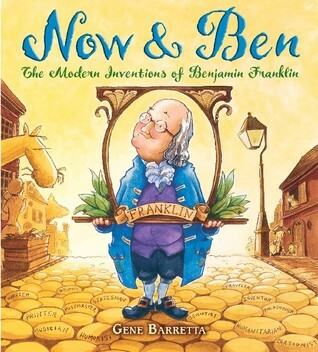 This week we will be reading a fun little book called Now and Ben which looks at how Ben Franklin has affected our lives today. I know the kids will enjoy learning from this little story. When we finish, the kids will think of their own inventions and make a poster for them. We will also be practicing spelling, vocabulary, and grammar (prepositions) this week. Please see the weekly handout below to learn more about what we are covering. There will be a spelling test on Friday, so please help remind your child to study. Our writing focus for this week will be on figurative language, specifically similes and metaphors as a lead in to our poetry unit.